SBEM stands for Simplified Building Energy Model and is a software tool developed by BRE that provides an analysis of a building's energy consumption. The tool helps to determine CO2 emission rates for new non-domestic buildings in compliance with Part L of the Building Regulations (England and Wales) and equivalent Regulations in Scotland, Northern Ireland. It is also used to generate Energy Performance Certificates for non-domestic buildings in construction, for sale or let. In determining the overall allowable CO2 emissions the tool will measure the actual building against a notional building of the same dimensions hopefully allowing good and innovative design to prevail. In effect what it actually means is all the information regarding the fabric, services, lighting, renewable and low carbon technologies can be measured collectively against a notional building and a certain amount of compensating between different elements can take place. Who needs a SBEM assessment? With very few exceptions all new non-domestic buildings require an SBEM prior to construction. It is also normally a requirement of building control at this early stage and it is a good practice to have a finished output based on likely design features even if the lighting and services design has not yet been undertaken. This helps to reduce the risk of a non-compliant building when it may be too late to undertake any remedial improvements. In our experience of hundreds of calculations the problematic compliance calculations as always the ones undertaken after the building has started construction. If a building design is complicated or has an unusual heating, cooling or ventilation strategy then a more dynamic simulation model (DSM) is required which when undertaken can be tailored to be more reflective of a complicated design. If you have a design which incorporates extensive glazing, non-standard wall or roof shapes or a bespoke services strategy then the likelihood is it will require a dynamic simulation model. Don’t be misled into thinking SBEM suits all buildings just because a SBEM assessor doesn’t have the relevant experiences to produce a DSM! 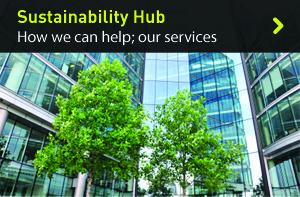 Melin are able to offer SBEM and DSM type calculations and are accredited CIBSE Low Carbon Consultants able to work on any type of building. 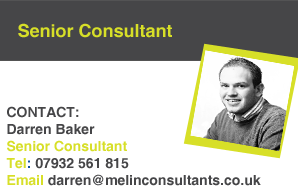 If you would like a competitive quotation or further advice then please do not hesitate to get in touch with Melin Consultants.